Here's the latest official skinning pack update for Update 6, hot off the presses. Enjoy! We won't get any answers here. Sad, but true. 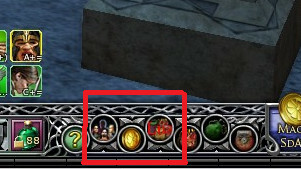 The player vital bar code <PanelFile ID="ID_UISkin_AvatarPanel"> provided in this pack is bugged ! - Enter a skirmish (or a new area). --> your portrait becomes smaller that it should be, and slides to the upper left corner of the vital frame, untill becoming a dot ! EDIT : Fixed code integrated in JRR. Last edited by Adra : 04-11-2012 at 08:23 AM. I hope this time resizable window will work and the package is complete - as I read above it's not . Can you clarify it Narrel? EEk. Back to work. Thanks. Last edited by Adra : 03-15-2012 at 06:08 AM.